Olivia Nunn's 1 year comparison to demonstrate her "aging backwards" thanks to eating a hyaluronic acid superfood daily. I bet that if you were to take a look at all of your facial rejuvenation products, you have at least one that contains hyaluronic acid. The beauty industry knows how critical this ingredient is at keeping our skin moist and youthful. Like silica, hyaluronic acid (HA) is one of those compounds that naturally occurs in our body. But, as we get older, the amount of HA in our systems deplete, making it harder to retain moisture. Adequate internal moisture is extremely valuable in our fight to remain youthful. Moisture expands. That's what makes the difference between a raisin and a grape. No one wants raisiny skin. Instead, let's look for ways to keep our HA levels intact. Hyaluronic acid is pretty easy to come by. Like I said, most hydrating skin care products boast of having this ingredient. But I'm here to encourage you to also seek out natural sources of HA through your diet. Apparently, consuming enough of it can make a real visible difference in your skin. Years ago, Connie Chung did a special feature on the people who live in a region in Japan known as Yuzurihara (The village of Long Life). There, the senior citizens continue to work well into their twilight years. Their skin and bodies defy aging and they owe this phenomenon to a simple starchy vegetable, an indigenous dark purple sweet potato. This anti-aging superfood is high in hyaluronic acid and, better yet, has the ability to stimulate fibroblast cells in the body to make even more HA! "I started noticing it with my flexibility. Usually, in the morning I would get the pillow creases on my face and rub them out. Now, after a month of eating these potatoes every single day, the lines were gone. " Olivia goes on to say that she experienced the most difference in her skin from consuming HA from natural sources (vs. synthetic supplements). Unless you live near a Japanese grocery store, getting your hands on these wonder-potatoes will be a challenge. I think it'll be worth while to do a quick search to see if you're lucky enough to have a Japanese grocery store nearby. If so, take full advantage of your wonderful blessing. But, for those of us not quite so fortunate, we can still get HA from other food sources. First on the list is bone broth. As you know, this longevity broth is created by slow simmering the nutritious joints and tendons of animals. The result is an ultra healthy broth with too many benefits to list. Soy products also help boost HA due to its estrogen enhancing qualities. And, of course, you can also supplement your diet along with using facial serums high in HA. Wow I have not heard about this. Thanks for posting! Useful information! 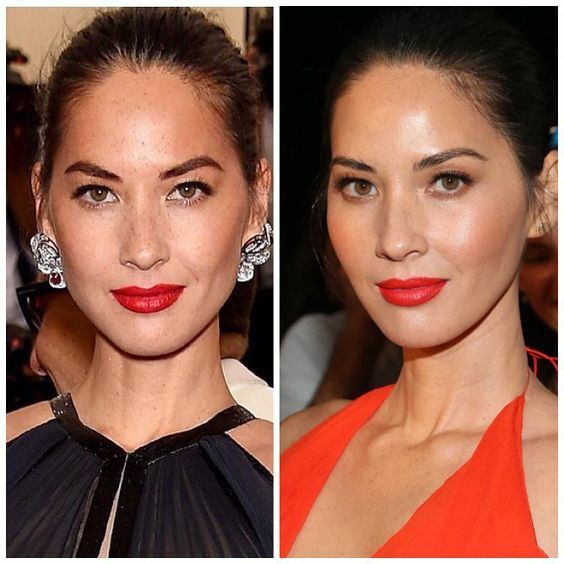 By the way, her name is Olivia Munn. I have been taking NOW Foods double HA for nearly a year and definitely have seen difference in skin, lash and the unexpected "re-plumping" of my lips. *quickly adds NOW Foods HA to cart." I have recently start drinking bone broth to help with my cellulite but I didn't know if helps with HA levels as well. The list of benefits for bone broth seems endless, I will definitely continue to included in my daily diet. Love your blog!!! Look I am just going to tell you, you are one of my mentors and don't even know it. I am not going to lie Nadege, you are a gem! Thank you!!! I visit your blog several times a week and I know I am going to always get something that is going to add value to me in one way or another. Thank you for sharing this Nadege! Anon, you just saved the day. You have no idea.